The Grundy County Clerk's office is the depository for vital records, including birth, death and marriage records occurring in Grundy County. All births and deaths are filed with the County Clerk at the time of the occurrence and transmitted to the State Registrar of Vital Records on a monthly basis. Births 1877 through 1915, deaths 1878-1917 and marriages 1841-1915 are available to the public for genealogy research. If you require more recent vital records you can apply to the Illinois Department of Public Health. Application for vital records can be found on the Department website. 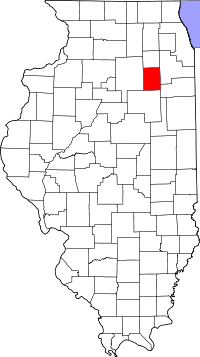 The Illinois State Archives is also a good place to research vital records, as they have a large collection of archival records for Grundy County.